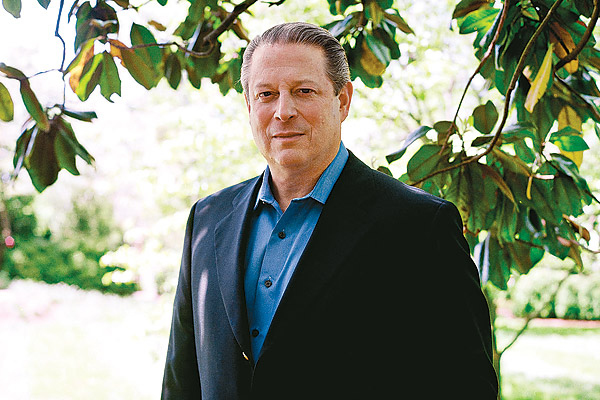 Al Gore was inaugurated as the 45th Vice President of the United States on 20 January 1993. President Clinton chose then-Senator Gore to be his running mate on 9 July 1992. He was formally nominated as the Democratic nominee for Vice President one week later at the Democratic National Convention in New York. Gore’s Congressional career began when he was elected to the U.S. House of Representatives in 1976 where he served eight years representing the then 4th District of Tennessee. He was elected to the U.S. Senate in 1984 and was re-elected in 1990, becoming the first candidate in modern history – Republican or Democratic – to win all 95 of Tennessee’s counties. A candidate for the Democratic nomination for President in 1988, Gore won more than three million votes and Democratic contests in seven states. Gore was born on 31 March 1948 and is the son of former U.S. Senator Albert Gore, Sr. and Pauline Gore. Raised in Carthage, Tennessee, and Washington, D.C., he received a degree in government with honours from Harvard University in 1969. After graduation, he volunteered for enlistment in the U.S. Army and served in Vietnam. Returning to civilian life, Vice President Gore became an investigative reporter with The Tennessean in Nashville. He attended Vanderbilt University Divinity School and Vanderbilt Law School and operated a small homebuilding business.